Join Chef Todd Perrin (Mallard Cottage) and Chef Martin Ruíz Salvador (Fleur de Sel) and celebrate this weekend ritual with the very best of our 2014 festival at the Devour! Awards Brunch. We guarantee to tickle your senses with an incredible finish to Devour! including boozy brunch cocktails served up by mixologists Jeffrey Van Horne & Matt Jones. 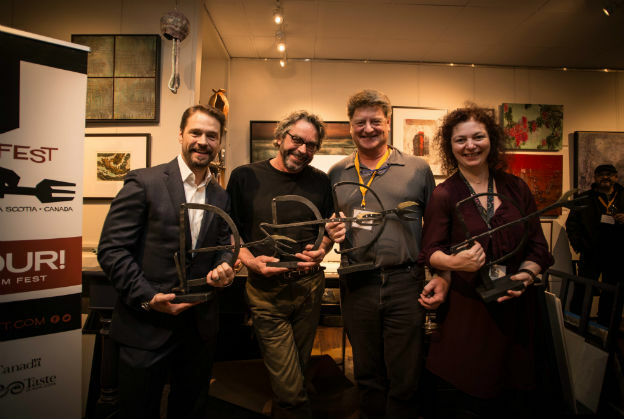 We will present the Golden Tine Awards for this year’s films in our four categories chosen by our esteemed jury led by Thomas Struck (Director of the Berlin Film Festival’s Culinary Cinema program) – Best Short Documentary, Best Short Drama, Best Feature Documentary, Best Feature Drama. Canadian foodies know Todd Perrin as the burly, entertaining, larger than life Newfoundlander who made it to the top 8 in The Food Network’s hit series Top Chef Canada in 2011. Prior to his television fame, Todd graduated from The Culinary Institute of Canada at Holland College in Prince Edward Island, and went on to work at The Lodge at Kananaskis in Alberta and then at a private hotel near Zurich, Switzerland. 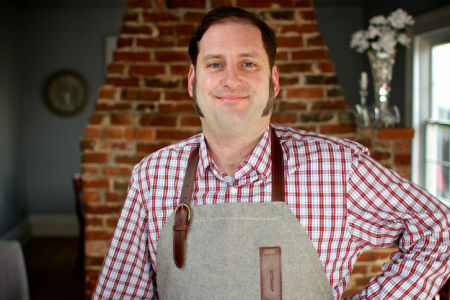 In 2001, he opened Two Chefs, a fine dining eatery in St. John’s that in its first year, was listed as one of the country’s Top 50 New Restaurants in EnRoute Magazine. In 2008, he opened The Chef’s Inn, a B&B in downtown St. John’s, Newfoundland where he practices farm-to-table whenever possible, by sourcing the freshest local ingredients from his own backyard, neighbours’ farms and his root cellar. 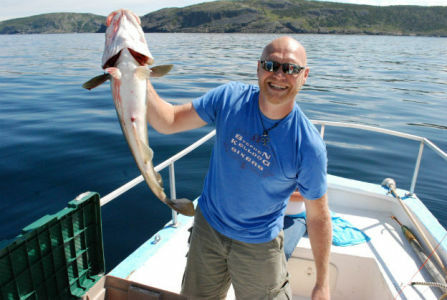 Todd’s latest project is a new restaurant at Mallard Cottage, in Quidi Vidi Village, St. John’s. Having purchased this 18th century traditional Irish cottage, Todd and his partners have restored and converted the cottage into St. John’s most unique dining destination. Open for almost one year, Mallard Cottage has enjoyed some critical acclaim, making the short list for EnRoute’s Best New Restaurant in Canada. Born and raised in Nova Scotia, Martin Ruiz Salvador began his culinary career as a young dishwasher in Halifax before working his way across the country as a line cook. After graduating from Le Cordon Bleu at the Scottsdale Culinary Institute in Arizona, Martin travelled to Europe where he apprenticed and worked three different Michelin-starred restaurants under the likes to Chef Aiden Byrne, Chef Jean-Paul LaCombe and the renowned Chef Frédérick Côte. Upon returning to Canada, Martin followed his dream to open his own fine dining restaurant in rural Nova Scotia. Fleur de Sel opened its doors in 2004. Run by Martin and his wife, Sylvie, the Lunenburg restaurant is a harmonious meld of Martin’s classical French training with his own Nova Scotian roots and locale. In 2005, Fleur de Sel earned the eighth spot in EnRoute’s Top Ten New Restaurants in Canada. Martin has since opened The Salt Shaker Deli and The South Shore Fish Shack, both located in Lunenburg. He has also cooked at the James Beard House in New York, competed in the National Gold Medal plates competition in 2008 and 2014, represented Nova Scotia at The Canadian Chefs Congress and has held Four Diamonds with CAA since 2007.